Environmental litigation on permitting and toxic tort issues, having appeared before the Indiana Supreme Court and Court of Appeals. Larry is the former Director of the Office of Legal Counsel for the Indiana Department of Environmental Management. 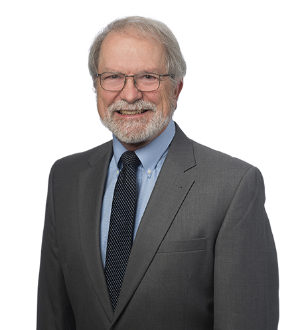 He has chaired the Environmental Law sections for both the Indianapolis and Indiana State Bar Associations. He received degrees from Purdue University (B.S.E.E. with highest distinction, 1967; M.S.E.E., 1968) and Indiana University School of Law (J.D. 1975).